Compact yarn, with a gentle stretchiness thanks to the inclusion of Lycra, gives this top a premium look and feel, and a heavier finish that is ideal for autumn and winter. 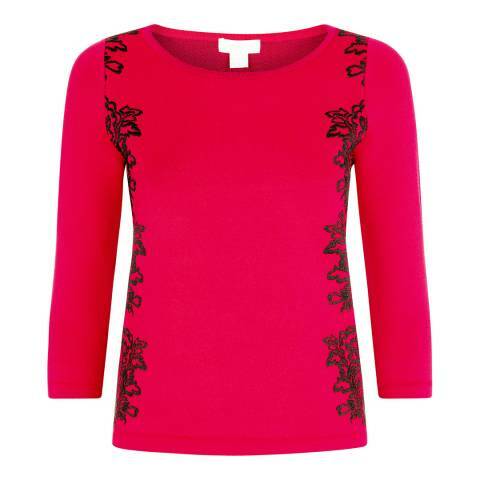 With a pretty, contrasting floral design and three quarter length sleeves. Composition: 89% viscose 10% nylon 1% elastane. UK Size 22/Extra Large: 117 Bust, 102 Waist, 126 Hips.